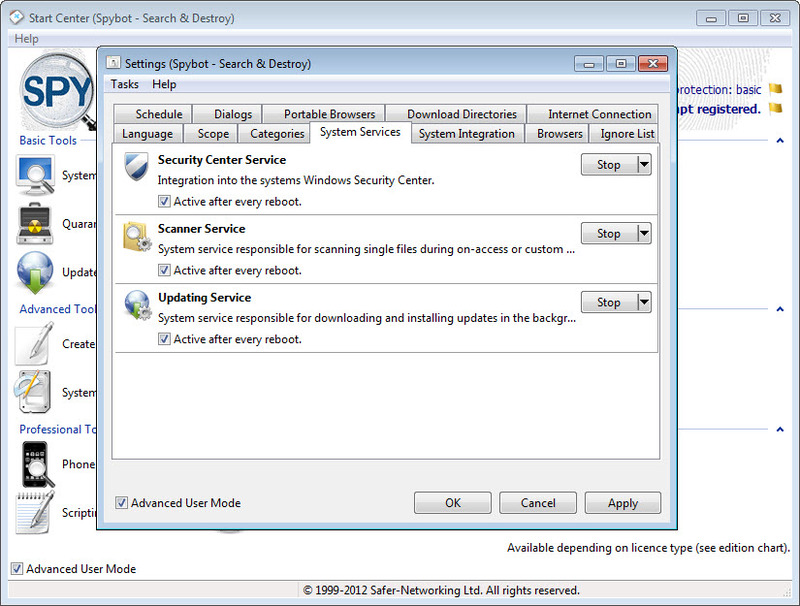 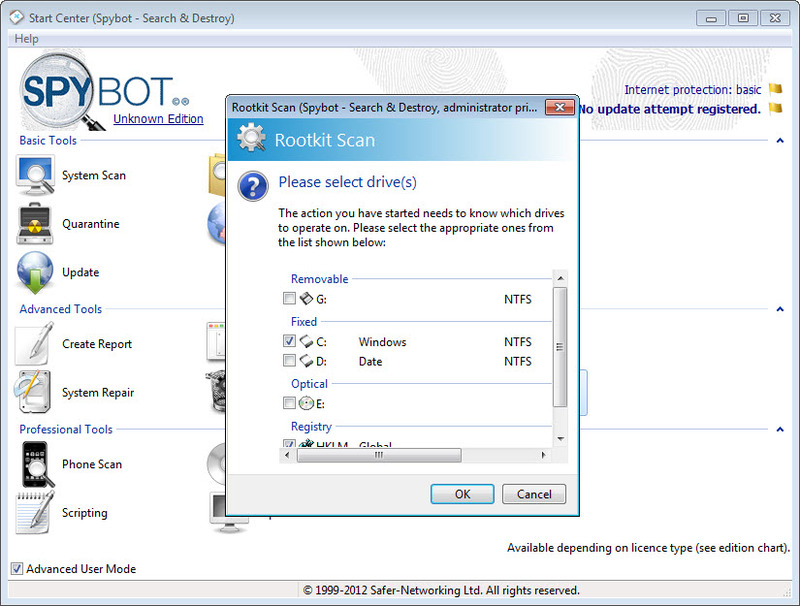 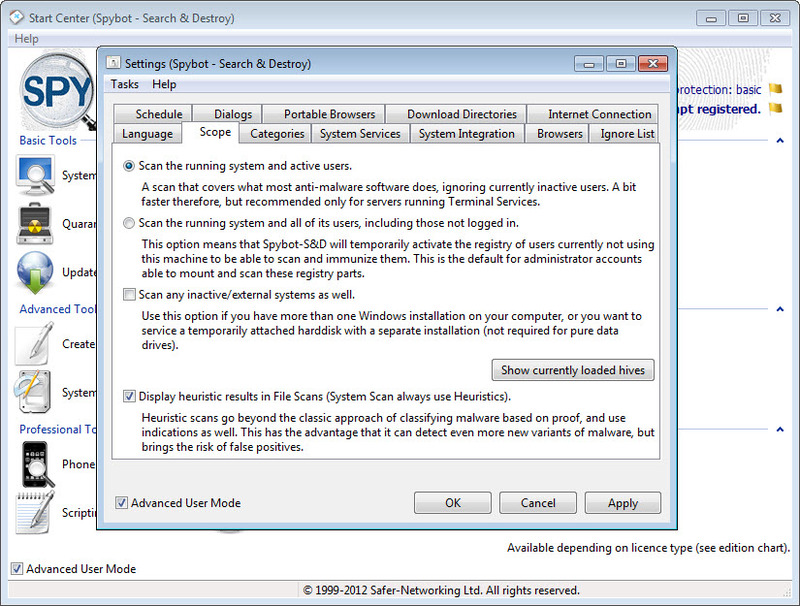 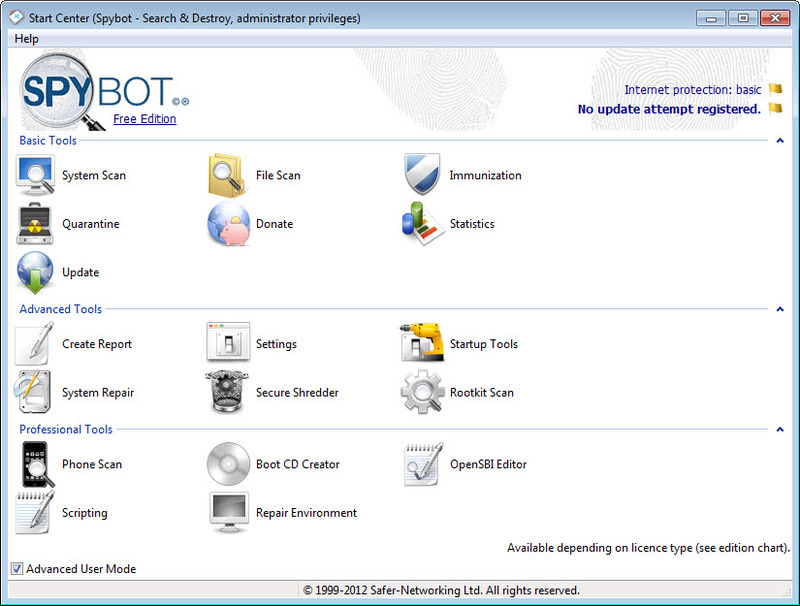 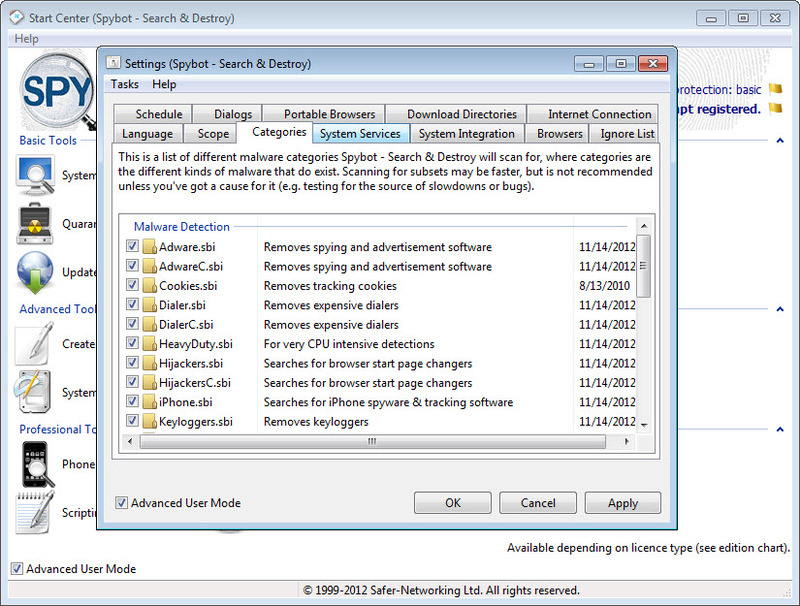 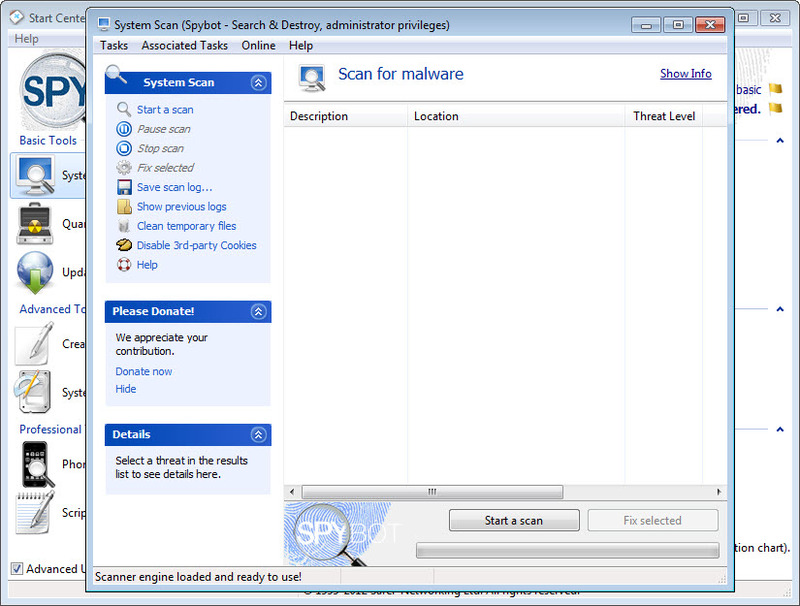 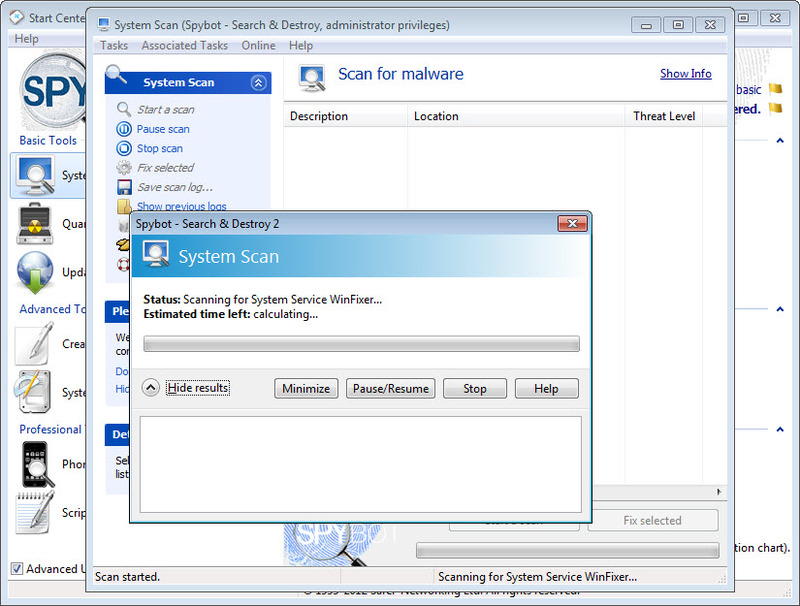 Spybot Search & Destroy is a free security utility aimed at finding and eradicating spyware, malware, adware, and ‘ in the same time ‘ cleaning users’ online tracks, tweaking the registry and shredding files containing sensitive data. 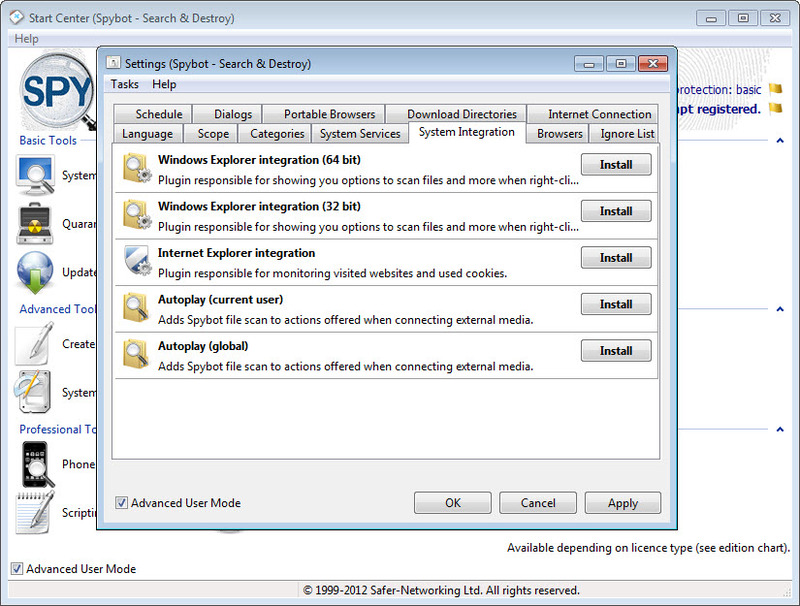 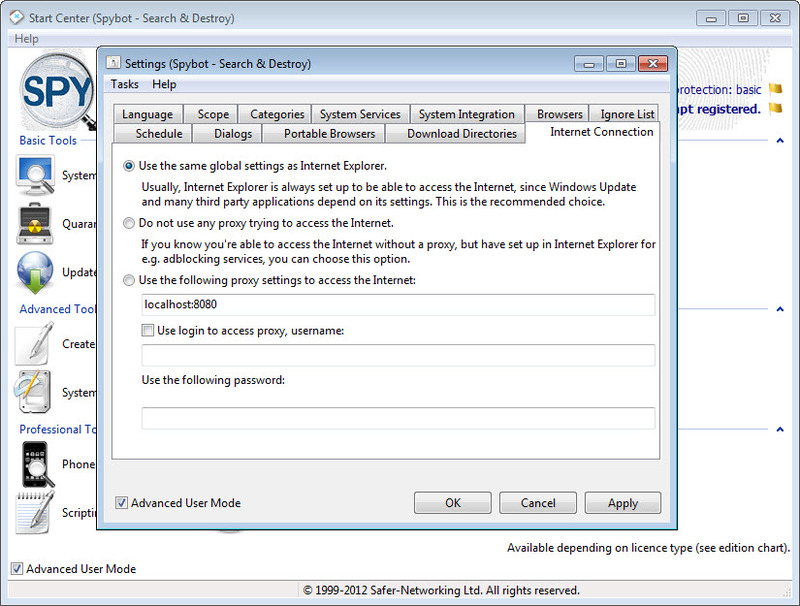 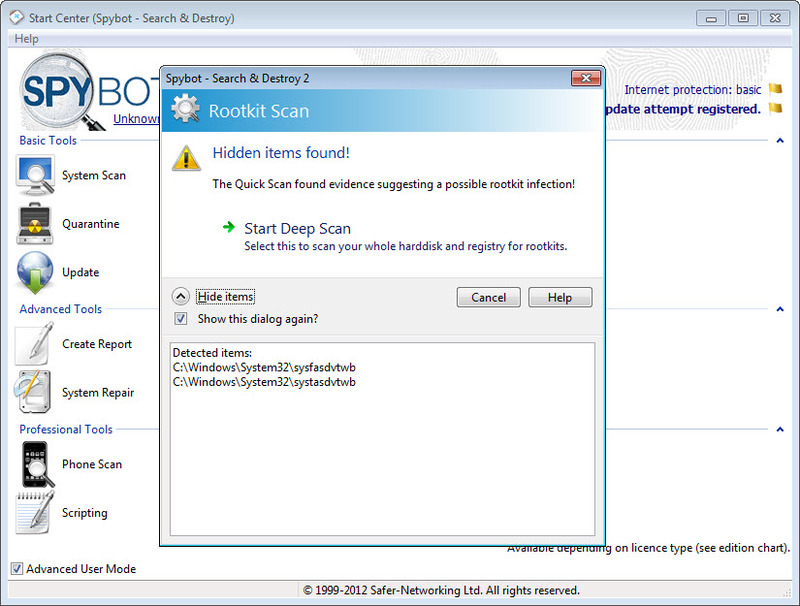 The free edition also removes root kits from the computer and shields the internet browser against common known threats. 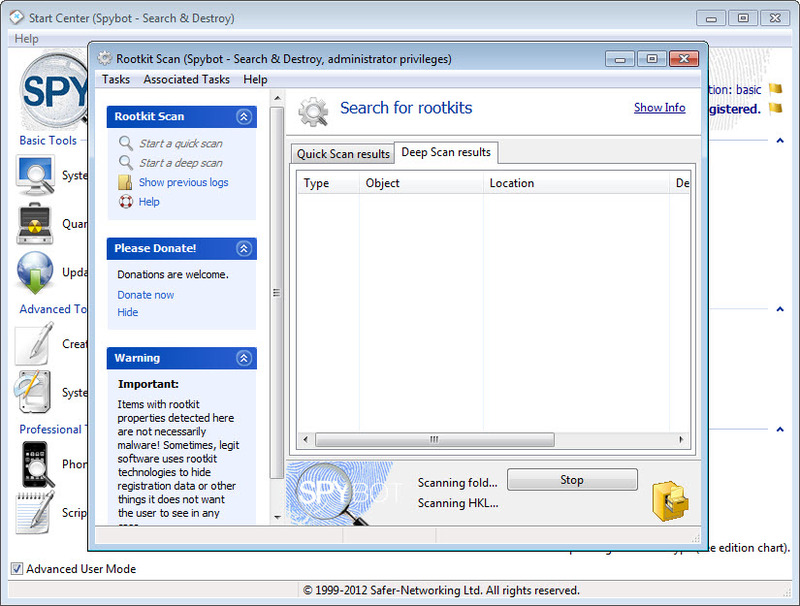 Specific files or folders can be scanned on demand no matter their location, be it the local drives or network share points. 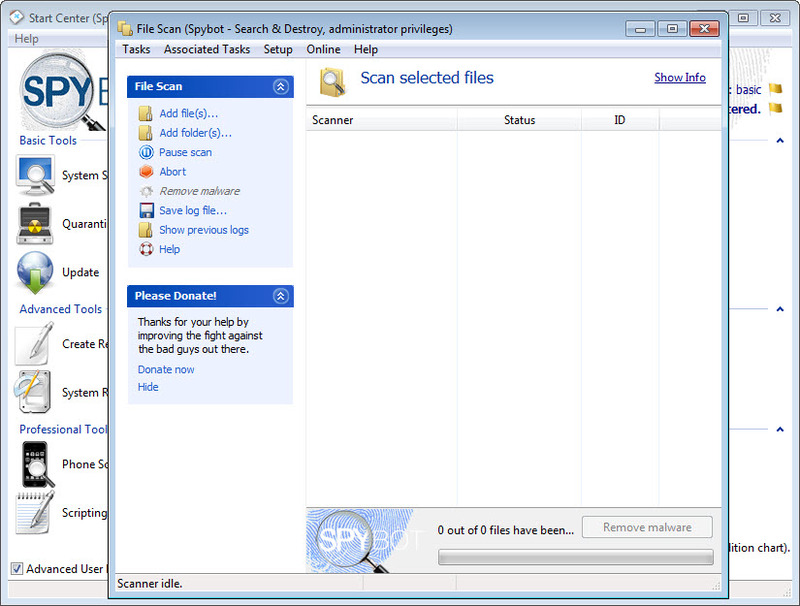 In order to increase time efficiency, the malware detector includes a white list that identifies legitimate files and by-passes them while seeking other, potential malicious files. 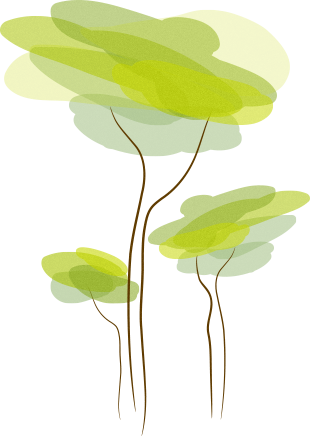 Free users get specialized support from a dedicated team by e-mail.